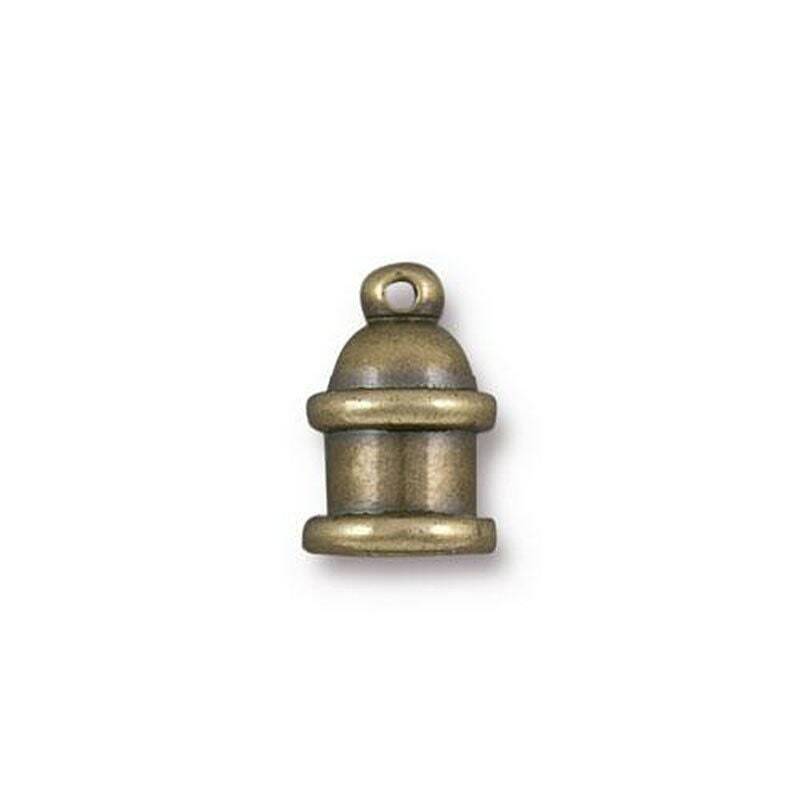 Pagoda style cord ends, antique brass, brass. These cord ends have a recessed channel around the outside - add your own embellishment, such as bead weaving or loom work, or leave as is. You will receive 2 cord ends, one set. These components are manufactured in China, using third party tested compliant brass. They are finished in the USA by TierraCast's plating vendors. Perfect match to all the other TierraCast components.